Utilities are expensive in Alaska, in fact, everything is expensive in Alaska! Our remote location and volatile climate contribute to higher all-around costs for most essential services. 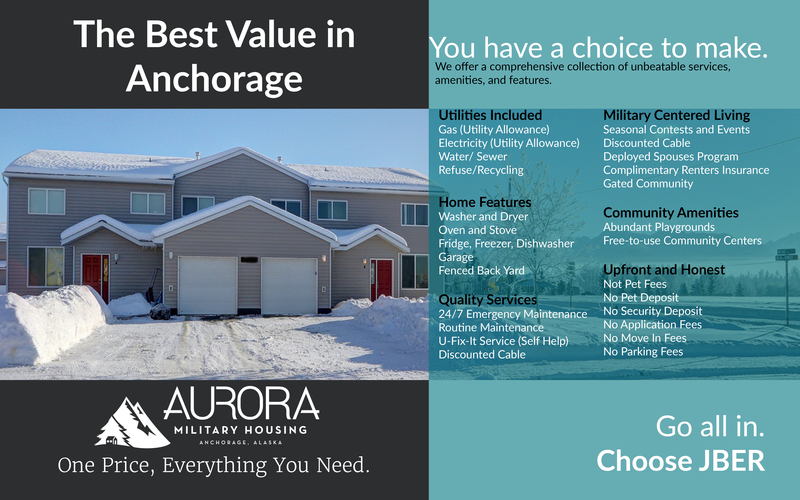 At Aurora, we believe utilities are at the core of the housing experience, which is why, through our generous utility allowance programs, we include all essential utilities. While we’re proud to offer nearly 70 unique floorplans, there are some things that come standard in all 3,262 of our homes. From garages to all-essential appliances (including washers and dryers), fenced yards to local accessible playgrounds, we provide all the comforts, the little things, that make a house a home. As an Alaskan grown company, we understand the challenges of living in the Last Frontier. And as the subsidiary of Alaska’s largest development and management company, we have the resources to tackle these challenges head on. Our scale and size enables us to realize significant cost reductions, and pass them on to our residents. From the round the clock reliability of our maintenance team, to the incidental cost assistance offered by our Self Help Center, to our generous utility allowance program, we are dedicated to inclusive and plentiful services, at a single and consistent price.